Be prepared with a heat lamp. Chicks are kept about 95 degrees the first week. Allow room for them to move away from the heat as needed. Boxes are available. Or - visit the store to choose from the brooder. 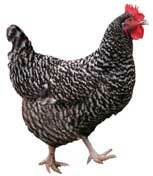 We specialize in standard, hardy, proven breeds for the best results in your coop. $4.95 Game Birds (pheasant, guinea) ***May/June only. Apr 1: AraucanaType, Blk Astralorp, Buff Orpington, RIRed, Gold Wyandotte, Delaware, Speckled Sussex, Lt Brahama.